The customer is the Centre of the universe now for ecommerce and not only. The biggest battle is to keep your customer closer to you and to make sure that you give them what they need when they need it. But you need to treat this race for customers with care. You have to bring more value to your customer’s life if you want loyalty from them. And this is a never-ending process. Once you’ve convinced them to buy from your store, you want them to come back and buy more. For this, you need to make them feel appreciated at all time and you have to show them that you care for them. At Conectoo we care about people and stories. We consider that everything starts with a story. Like our name suggests, we think that the most important thing in the world is the connection between people. When a customer trusts you and shows it by purchasing from you, you should demonstrate appreciation in return. But how to do that? We have developed a trigger email feature made especially for you to make your clients feel special. We thought that the best way to show your clients that you appreciate them is to reward them. It sets off in X minutes/hours/days from the moment one user made the y order on the website, and if the total purchase amount exceeds a certain value set by you. The template of the email can be personalized with the customer’s data ( e.g. name/ first name ). For Prestashop a gift card can be generated automatically and sent to the customer. This trigger was developed to increase the quality of the shopping experience for your customers. It should be present in your strategy plan along with other trigger emails such as cart abandonment and product of interest . All these things will help you maintain a great relationship with your customers and win their loyalty for life. Conectoo the people that matter to you. Ecommerce is gaining a lot of ground these days. In order to stay on top, one has to be very well informed and also make sure that he’s customers have the best shopping experience on their website so they will return. Here, at Conectoo, we felt the need of a new feature to help our clients stay more engaged with their customers and to increase their sales. We have developed a new trigger email that we consider to be very important: product of interest. It sets off at x minutes/hours/ days from the moment a product of interest is identified for a certain user. We can set the limits and variables for this scenario. For example, a product of interest can be the one that a user spends more than 2 minutes on its details and clicks at least once on the its photo. A fixed number of trigger emails that a person can receive in a certain period of time can be set up. The template for this trigger email can be personalized with the customer’s data ( e.g. name / first name ) and it may contain the list of elements that he showed interest in ( picture, title, price, link ). Each product has a “BUY NOW” call to action button that takes the customer on the product’s page from your website. By using this trigger based strategy, you’re using a remarketing tool to direct more clients to your website. And studies show that over 70% of the clients that receive these kinds of messages are more likely to finish the purchase. Our main goal, here at Conectoo, is to bring you closer to your customers and to make sure you offer them the best services and that the shopping experience is a very pleasant and easy one. Your time is very important to us, as it is the time of your customers. So we want you to have the best results in the shortest time and with minimum effort. By bringing your customers what they are really interested in into their inboxes, you’ll gain their loyalty. They will be happy to receive information about what they like & want and they will repay you by ordering from you. It is very important to put your clients first. Them and their needs. Here, at Conectoo, with every single feature that we develop, we help you build a real relationship with your customers based on trust and loyalty. How can you stop losing money from cart abandonment? One of the biggest problems in ecommerce today is the cart abandonment rate. In UK over 67% of the online shopping carts are abandoned. So think about how much money you lose. For every 100 people that shop on your website, 67 of them leave without purchasing. Why the online shoppers leave without buying? More than 56% leave because they were presented with unexpected costs. This is very common. You want to buy something, you put it in your basket and just before you finish your order some more costs pop up and your joy of spending is all gone. Another reason is that your website is running way to slow or it crashes a lot. If you have a low quality host that cannot handle your traffic, then the outcome will not be good for your business. Prices presented in another currency can also be a great turn off for your customers. All the factors mentioned here above are things that you can improve so that the buying experience gets better. What can you do in order to stop losing so much money? First of all you should make sure that you are not facing the problems we already talked about. After the cart is abandoned do not despair. There is one solution that could bring more money into your pocket. 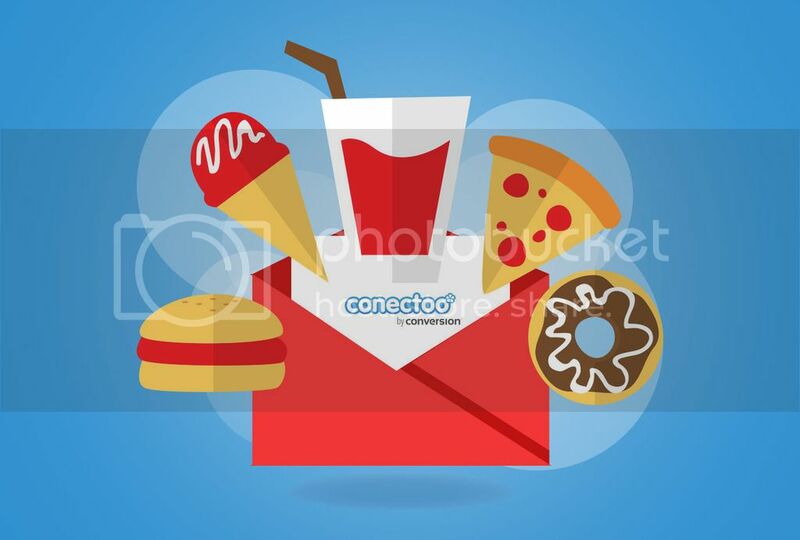 It is something we have developed here at Conectoo – a cart abandonment scenario for Marketing Automation. How does this scenario work? It’s very simple, really, and it has great results. You can launch it at X minutes/ hours/ days from the adding of a certain product in the basket, but the order did not go through. You can set a minimum value of the basket for which this scenario is triggered. You can also set up a maximum number of emails (of this kind) that a customer can receive in a certain amount of time. It can get very personal. You can add the name of your client, to start with, and it can also contain the products the client selected and a button with the possibility to finalize the order that will take the client to a pre-established landing page. It’s as simple as that. All you have to do is invest in your customers and in their shopping experience. And they will repay you by not forgetting about your products.